The mind-body concept has had a tenuous development throughout history. Some cultures prescribed spirituality at the expense of the body where as other cultures upheld the ideal that a sound mind can only be found in a healthy body. Pilates offers an effective exercise program that upholds the latter philosophy and continues to grow in popularity around the world. Amazingly we can sculpt our body, control our breathing, build our stamina, and enhance our physical health, vitality, and mood through its practice! Pilates is one of the greatest paradigms introduced into the fitness world! Joseph Pilates believed that poor health is rooted in bad posture, shallow breathing, and a lack of physical exercise. He created unique exercises and equipment which now have gained worldwide popularity and nearly 100 years of proven effectiveness. No other exercise technique delivers so many benefits. Formerly known as "Contrology" in the 1920's, and based on Joes's teachings, the Pilates Method is a unique collection of exercises made up of low-impact strength, flexibility, and endurance movements, each executed with mental focus and specific breathing principles. Pilates' emphasis is on proper postural alignment, core strength development, and complete body muscle control and balance that yields to better fitness and mental well-being, coordinating the mind, body, and spirit. No. Pilates and Yoga are not the same. They can have similarities, but overall they are very different. The benefits of Pilates are extensive for both women and men. Women seek leaner and stronger physiques and men enjoy the more sculpted athletic look provided by practicing Pilates. From someone who wants to simply begin the journey towards a more healthy body to professional and recreational athletes who can supplement their traditional training by further strengthening balance, stability, and stamina by correcting muscle imbalances and specific muscle weaknesses, it's suitable for nearly everyone! Increased core strength and flexibility allows the body to be more functional and less prone to injury. Create a more toned and streamlined body. Develop better balance and coordination. Correct your posture and alignment. Build a strong and supple spine. Help improve your overall performance in running, golf, tennis, dance, gymnastics, swimming, or whatever your fitness program may be! Pilates can also help bodies with orthopedic conditions because of its spring resistance based training, and even those with pelvic floor instability, recent or current pregnancy, older adults, and those with chronic pain or disease. Stay strong during pregnancy and recover faster. Help individuals recovering from or managing joint injury/pain typically found in the back, shoulders,knees, ankles, hips, and neck. The extensive benefits consistent Pilates practice gives you is worth the challenging yet rewarding journey to a happier, healthier, leaner you! Due to the seemingly endless exercise options available in Joseph's work, it can be practiced through various forms by a variety of individuals with differing physical fitness needs and capabilities. Pilates offers a low impact yet intense physical exercise program that can be enjoyed by essentially everyone no matter their current physical state, fitness level, and overall strength. Each of the exercises are built on the same fundamental principles of increasing center core strength, flexibility, stability, and overall balanced muscle movement, execution, and function. Pilates is a program designed and inspired by the human body and its natural state, ability, and movement. Movements that you find throughout your typical daily activities, as well as in professional sports, talents, and other exercise programs. The "powerhouse" or core of the body is the center of all movement. Learn how to stabilize the body by initiating all movement from the center. This premise is the heart of the method. Every movement in Pilates is controlled. It is this attention to form that demands the body and mind to focus, working as one. The mind is required to concentrate to perform each exercise with control. Exercises are not repeated excessively and, therefore, this high level of concentration is required fully and accurately in order to complete each movement. There is no excess or "auto pilot" where the mind can wander, as in other forms of exercise. Each exercise has its own rhythm and transition into the next exercise. The work is designed to flow as a whole, working the body completly from start to finish. Every session should progress in this manner. Breath is essential in the work of Joseph Pilates. His emaphasis on exhalation is crucial in his work as he believed you need to squeeze the air out of the lungs like the wringing of a wet cloth. 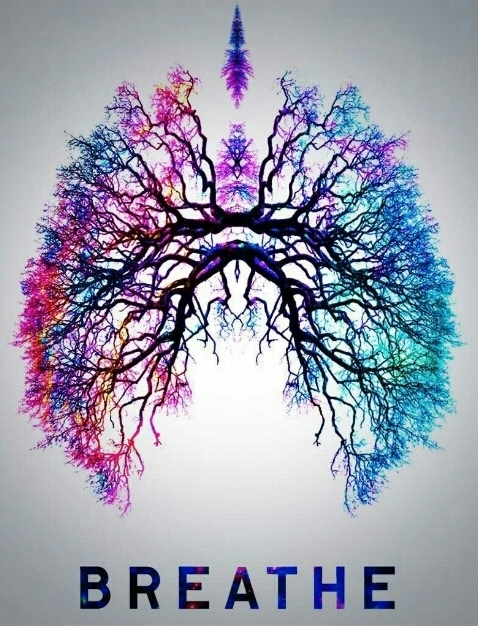 By doing so, you cleanse the lungs by pushing stale air out and filling them back again with a new breathe. His attention to breath in each exercise is tantamount to accurate execution of the exercise. Correct alignment and stabilizing the pelvis is an important aspect of Pilates practice. Faulty alignment negatively affects your abilities to concentrate, center, breath properly, maintain correct posture, and achieve balanced, efficient, movement. Pilates is precise, controlled movement where every detail is important. Every exercise must be practiced with attention to alignment, form, and breath. It is with precision that you are only truly able to understand the work.